The article is about DoS attack and IoT networks. CVE is not going to provide that level of information, as you probably saw. CVSS, on the other hand, does. 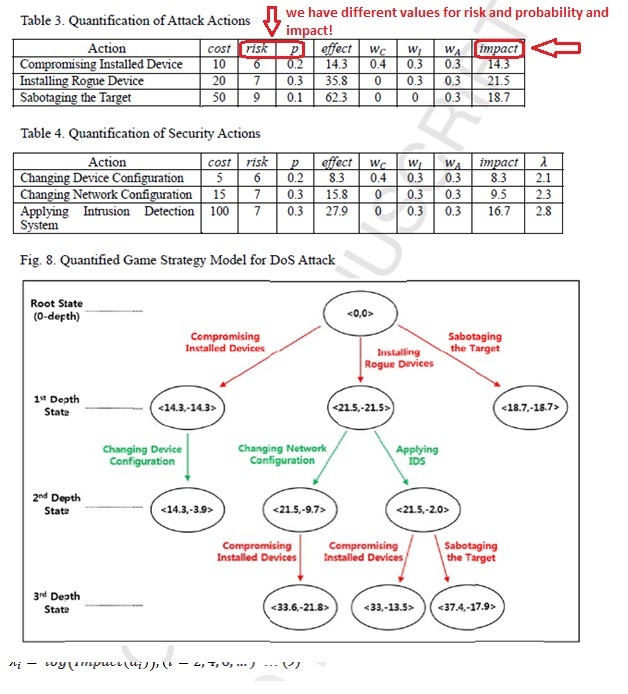 CVE often links to the NVD, which uses CVSS scoring, so it might be an easy mistake to make. Many information security people confuse "risk" with "impact". 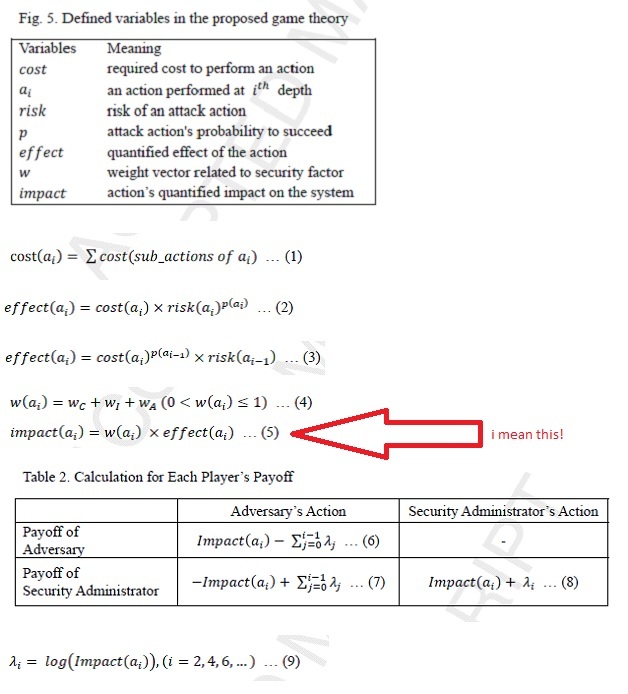 So, if we assume that they meant "impact and probability are based on CVSS", then everything makes sense. The long string of codes helps to define the problem. Impact and probability are often determined directly from the "Impact Score" and "Exploitability Score" of the vulnerability. Whether they should do that is another issue entirely. But it is a common practice and a straightforward thing to do for consistency in a research paper. I think they actually meant risk and probability, and not impact and probability, because in the article we have several formulas to calculate impact. Not the answer you're looking for? Browse other questions tagged denial-of-service cve risk iot or ask your own question. What is a DoS Attack and how does it differ from a DDoS attack? MySQL BACKRONYM (CVE-2015-3152) only affects MySQL client? How can I report a new vulnerability to cve.mitre.org such that they assign a CVE ID to it? Are there established and/or curated security benchmarks/best practices for home appliances and networks? Are CVE counts a good indicator of a software's security?